We were lucky enough to be a part of one of the San Jose Earthquakes season opening events. San Jose Earthquakes Mascot Q overseeing the construction of Avaya Stadium out of LEGO® Bricks. WHY: With the recent shooting of young father Eric Mendoza of East San Jose, who simply was moving his car for street sweeping, violent crime in East San Jose has become a major issue. People increasingly feel that it is unsafe for kids to be out on the street. 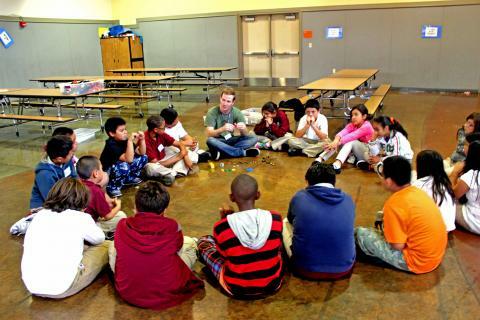 A local resident, Peter Jung, created a community based program called the Guiding Light Project, whose goal is to provide a safe space for kids in East San Jose to get their homework done and be able to play. The Guiding Light Project is now partnering with Play-Well Outreach this Saturday to provide an Engineering with LEGO workshop for kids in East San Jose. 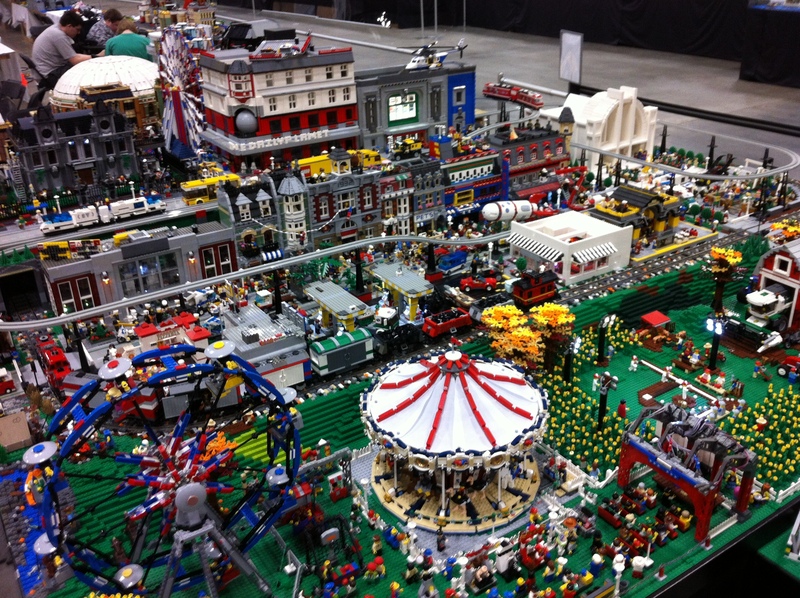 It is completely free for them and they get the opportunity to play with over 20,000 pieces of LEGO and just be kids. 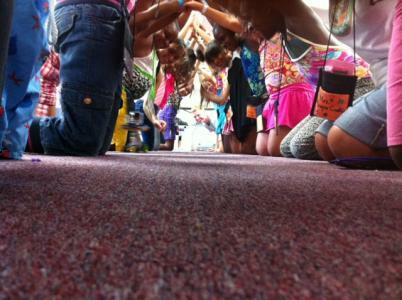 Over 60 kids from around East San Jose are expected to attend. The goals are simple: provide a safe space for these kids to play, learn about engineering, and have families still connect as a community. For more information about the event, Ripple Leung at (408) 794-1690 or at rippleleung@gmail.com. Here is a list of the LEGO® Conventions in North America. This is a place where some of the best adult and kid LEGO® builders in the country gather to display their work, exchange ideas, and share their passion for LEGO®. In the list below, we have bolded the LEGO conventions & events in blue that we are currently attending in 2014. More locations may be added in the future. Click HERE for a list of all LEGO® Conventions worldwide. Here is a list of LEGO Events across North America, as well as LEGO tips to help you build, organize, and understand the world of LEGO. 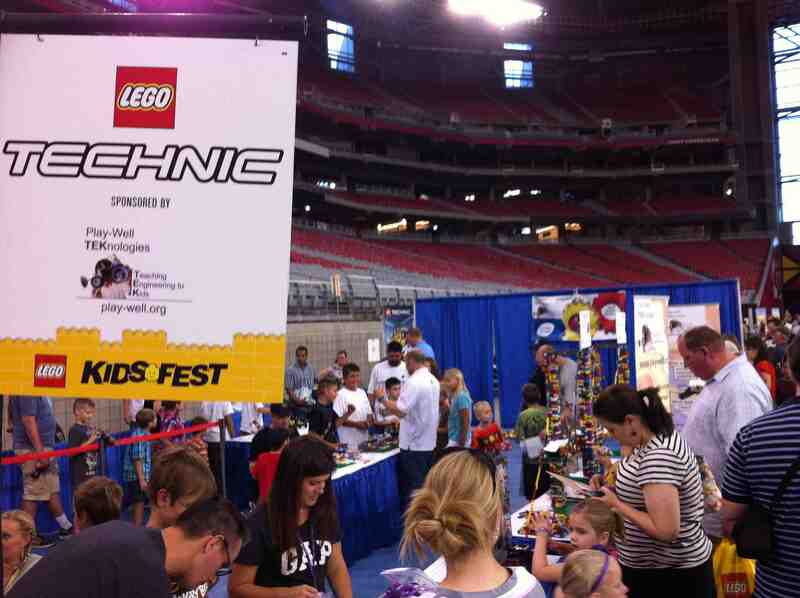 We are excited to be sponsoring the LEGO® Technic Section at LEGO® Kidsfest, the largest LEGO® Tour in the world. Here is a list of the LEGO® Conventions in North America. This is a place where some of the best adult and kid LEGO® builders in the country gather to display their work, exchange ideas, and share their passion with LEGO®. In this list, we have bolded the LEGO Cons in blue that we are attending this year. With LEGO, there are endless possibilities. 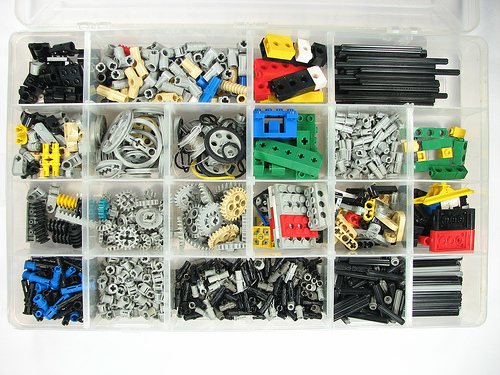 Here is a list of useful tips we have found to help you build, organize, and understand the world of LEGO. LEGO®, the LEGO logo, and the brick and knob configuration are trademarks of the LEGO Group. ©2013 The LEGO Group. These programs are not authorized, sponsored or endorsed by the LEGO Group.